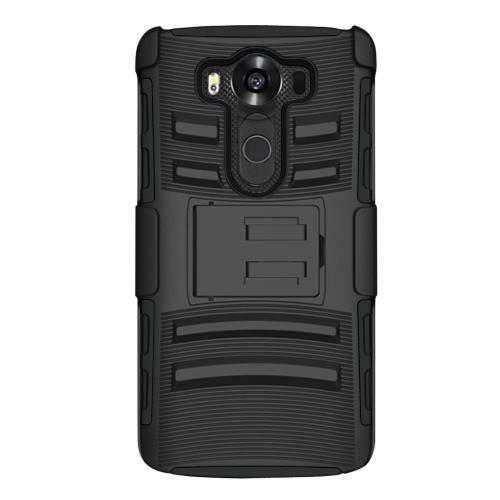 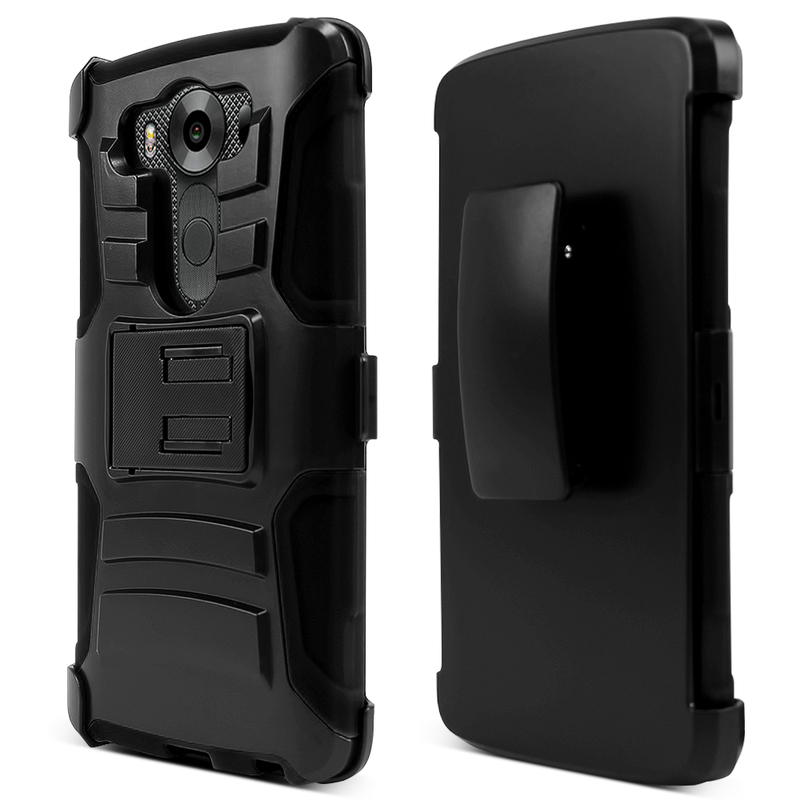 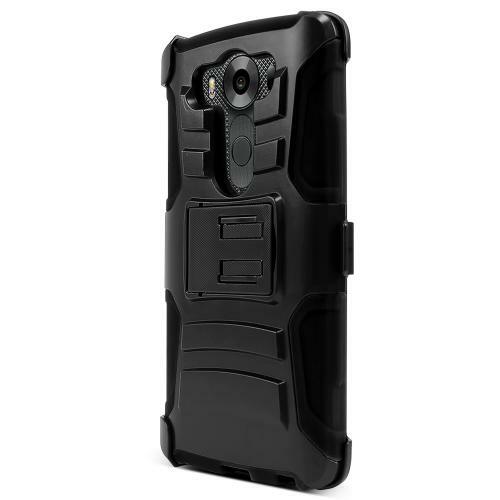 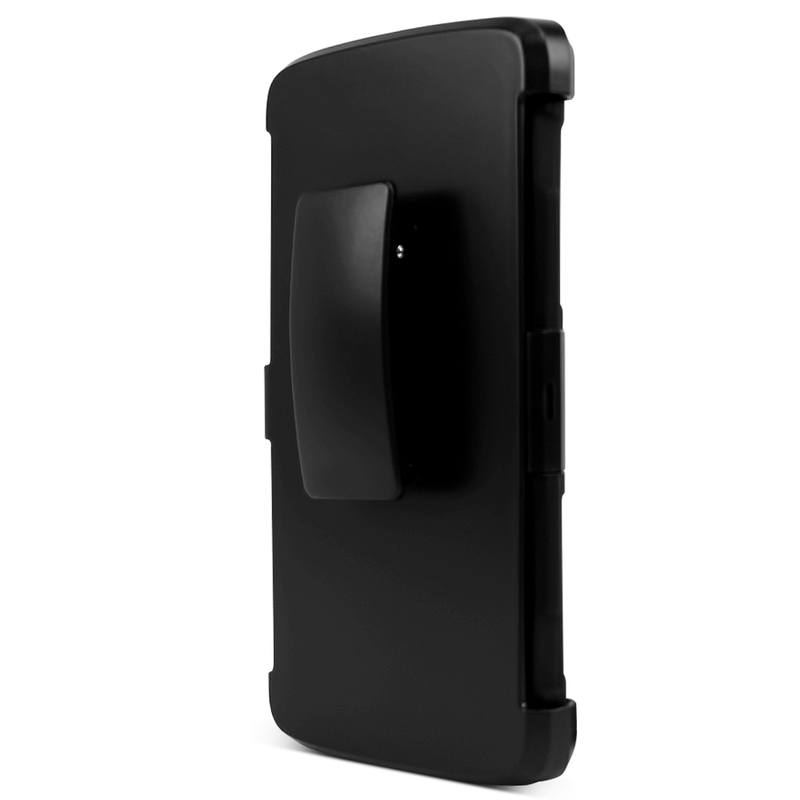 LG V10 Case, [Black] Heavy Duty Dual Layer Hybrid Holster Case with Kickstand and Locking Belt Swivel Clip If you are looking to provide the ultimate protection for your LG V10, then think about shielding it up inside this fashionable Black 2 layer case with a unique look! 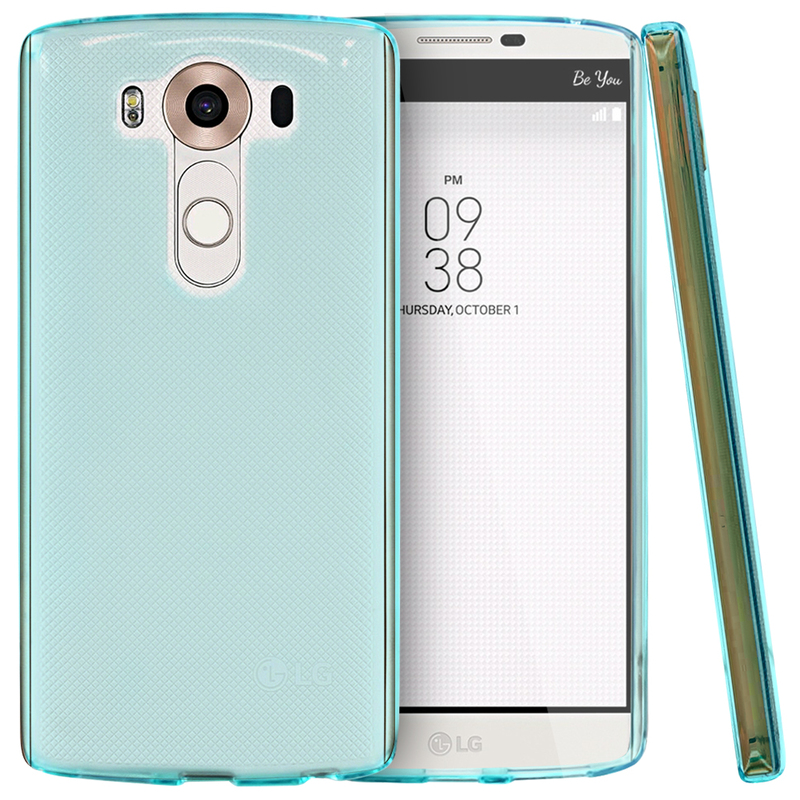 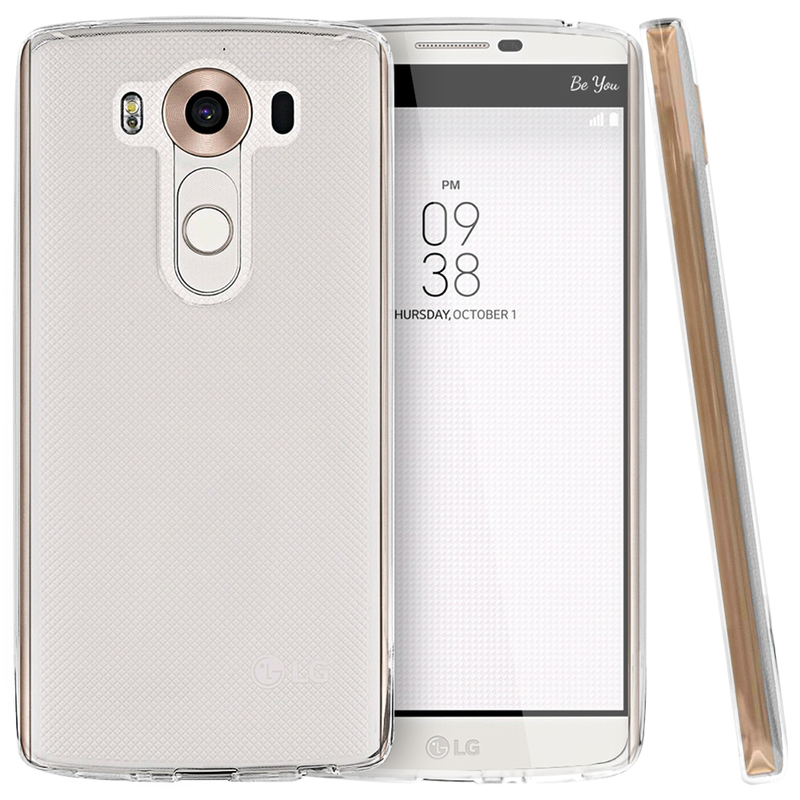 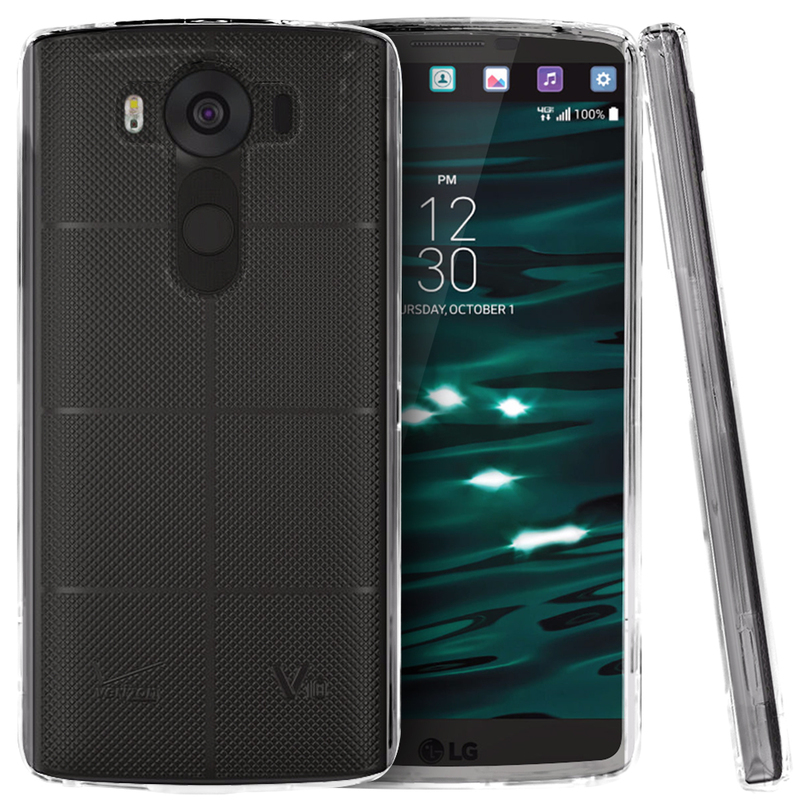 The dual layer technology enhances your LG V10 by adding exceptional grip and impact resistance. 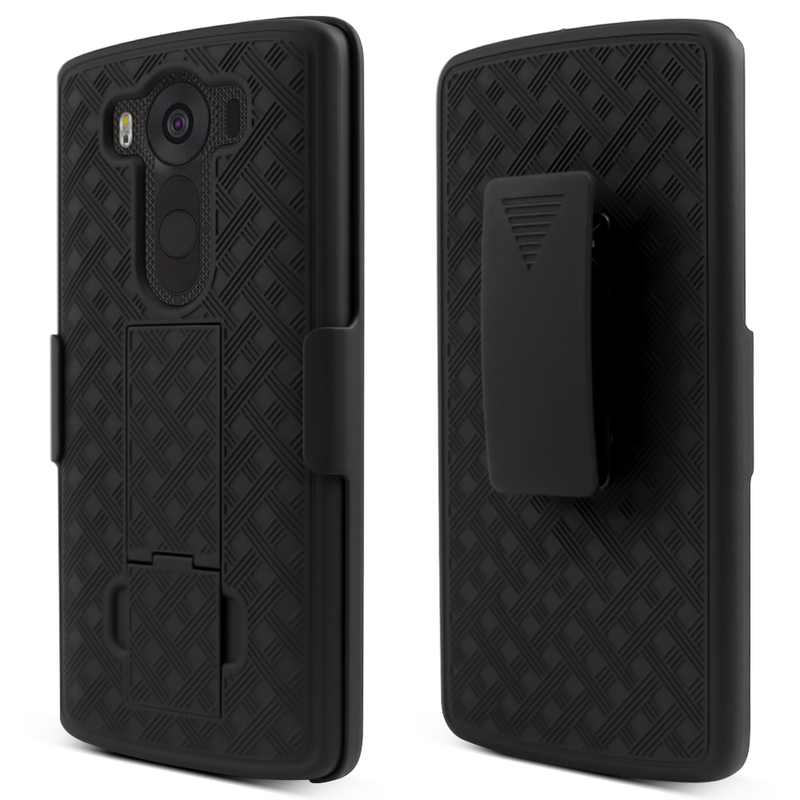 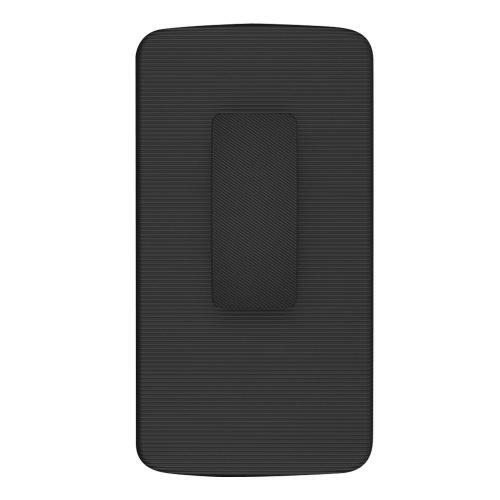 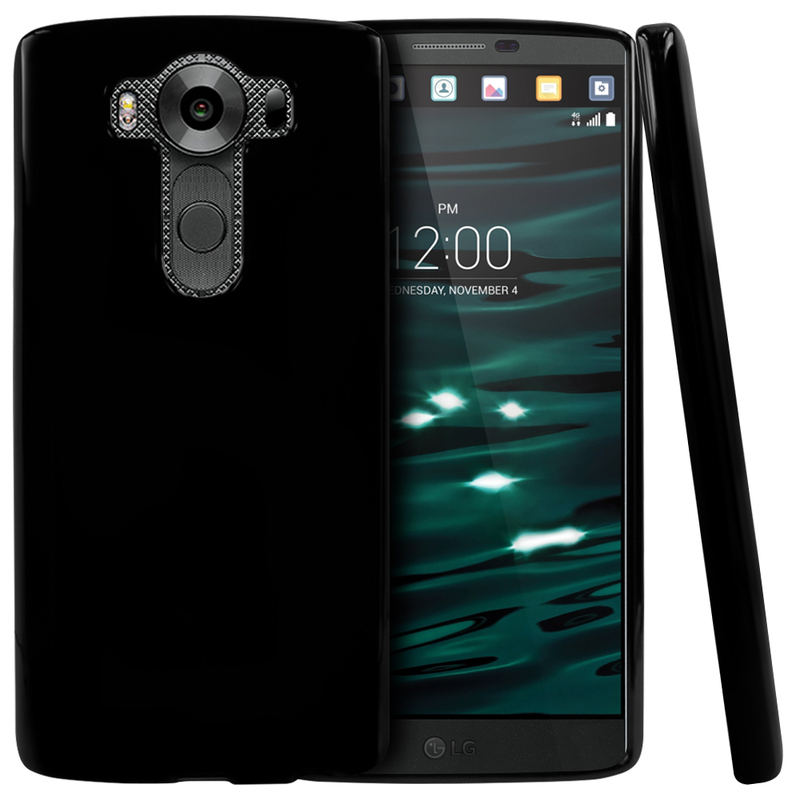 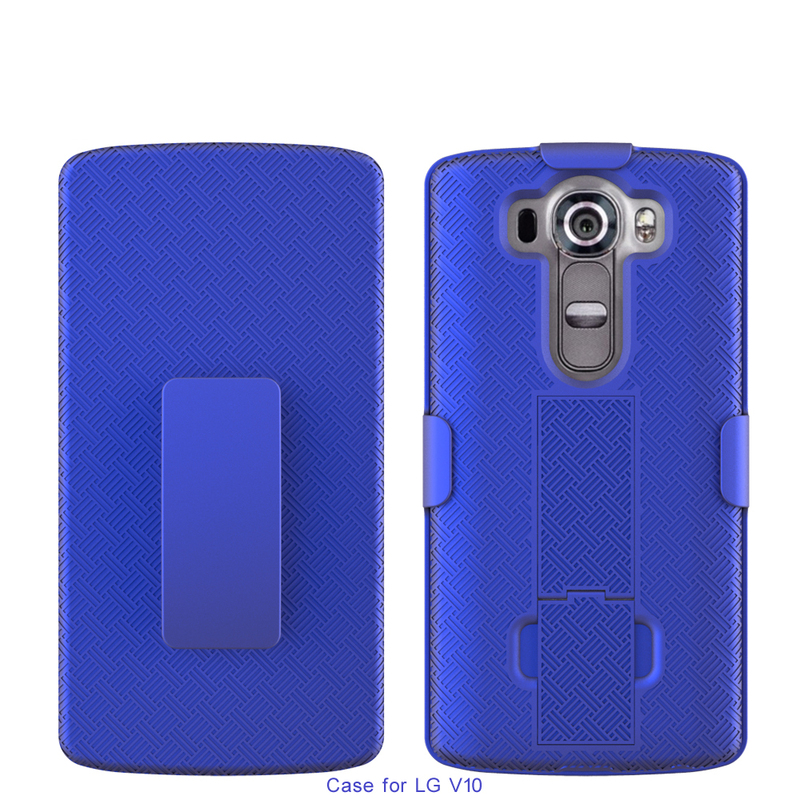 If you are looking to provide the ultimate protection for your LG V10, then think about shielding it up inside this fashionable Black 2 layer case with a unique look! 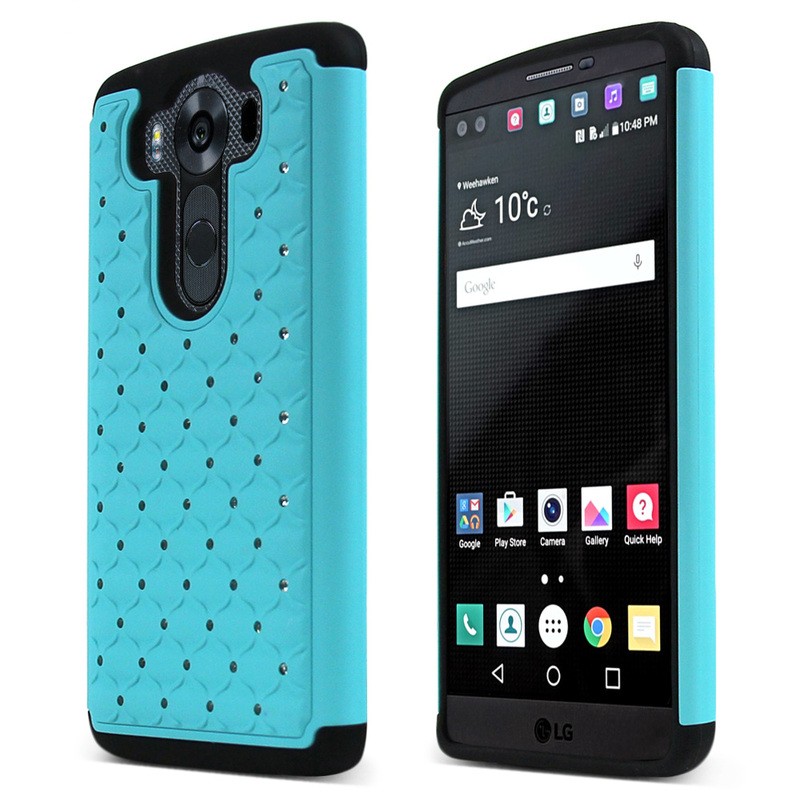 The dual layer technology enhances your LG V10 by adding exceptional grip and impact resistance. 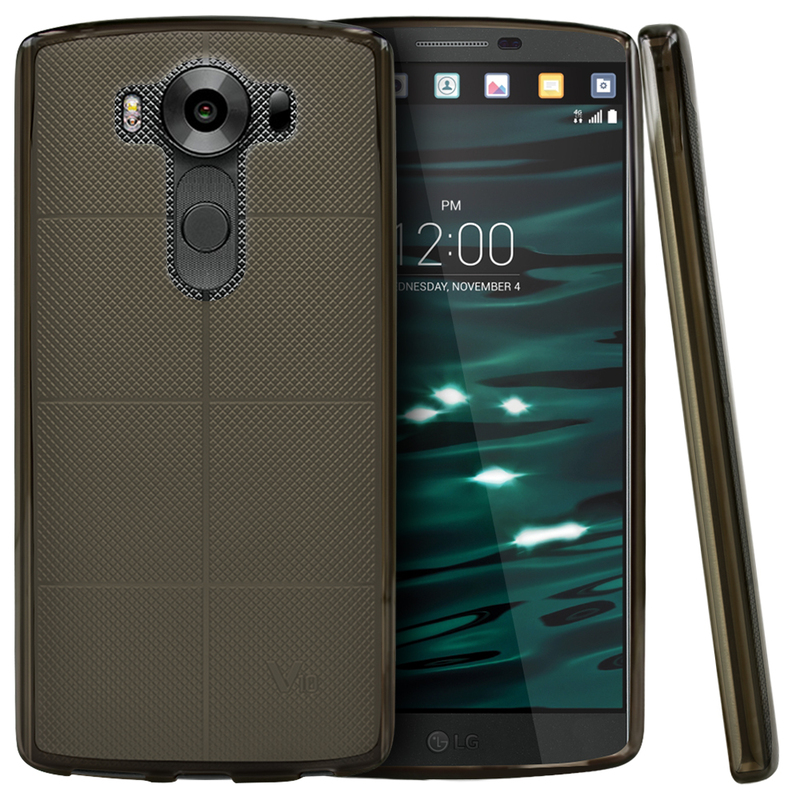 Convenient and easy to apply on to your phone, take it everywhere to bring the spotlight on you and your unique LG V10! 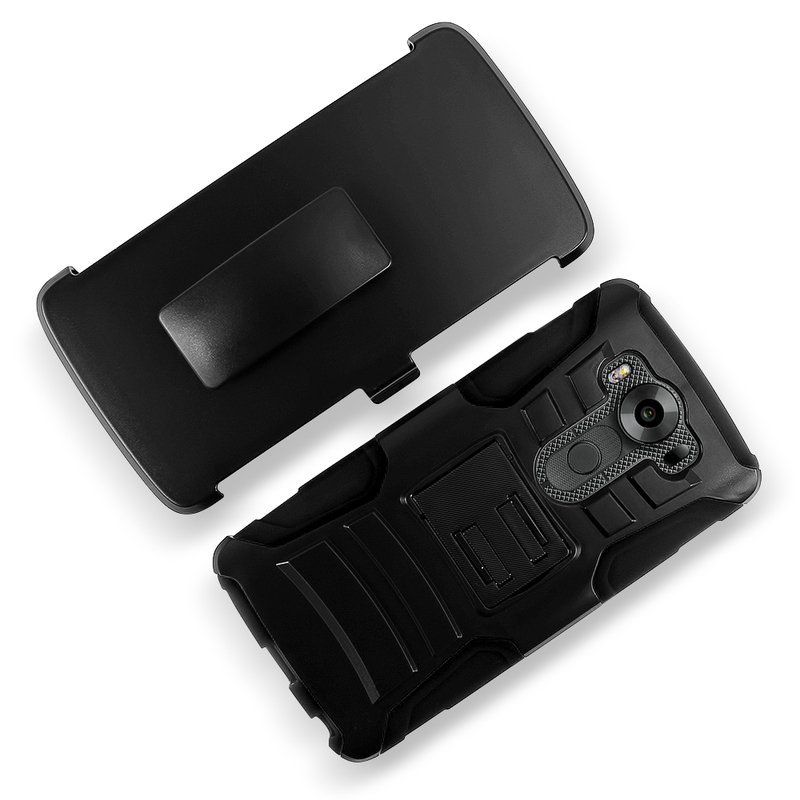 I enjoy having everything I need in this Holster case and kept my phone well protected. 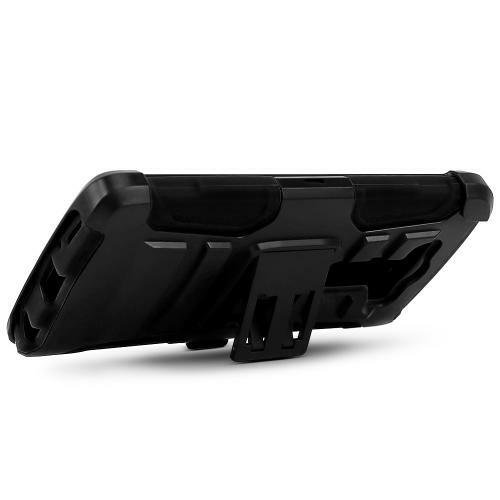 This is durable, I love the belt clip and kickstand for better viewing.